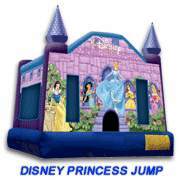 Jolly Jumpers package deals provide you with all you need for a really fun party at a great price. Choose from any one of our Fun Party Packages, a hit for both children and parents. 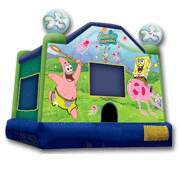 To cold out side for a moon bounce? Order our indoor party package, delivered to your location for one extremely low price. Most rental stores charge this price for the rental of just one of these units and require you to do the cleaning before you return it. 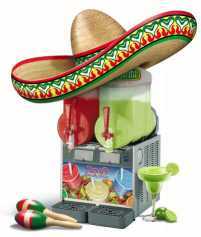 Popcorn machine with cart and a dual bowl margarita machine with two (yes 2) flavor batches. You'll pay more than this for just the dual bowl frozen drink machine anywhere else. Yes, we will deliver, pick-up and clean our equipment. Please book early, these specials sell out fast!